Lok Sabha Elections 2019: SP and BSP Tuesday announced that they will contest all 48 LS seats in Maharashtra in an alliance. 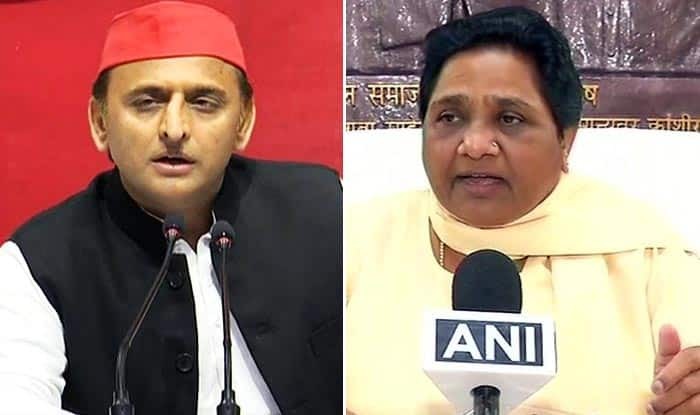 New Delhi: Ahead of general elections 2019, the Samajwadi Party (SP) and the Bahujan Samaj Party (BSP) on Tuesday announced their alliance in Maharashtra and said that they will contest all 48 Lok Sabha seats in the state together. However, discussions on the seat-sharing formula are yet to begin between the two parties and a committee had been formed to take it forward. The seat-sharing details would be announced in two-three days. SP leader Abu Asim Azmi asserted that their alliance is a third front for people let down by the BJP and Congress, adding that the two parties together represent about “85-90 per cent” of the society. “Secularism is about to end in the country. Those who call themselves chowkidars can go to any length, and peddle lies, to cling on to power,” Azmi alleged. Azmi lashed out at the Congress saying that the main opposition party had made Muslims, Dalits and the backward classes “helpless”, as there was no third alternative available for people. BSP leader Ashok Siddharth alleged that the Congress’ policies for Muslims, Dalits and backward classes remained on paper and could not trickle down to the ground level, adding that the SP-BSP will ensure these policies reach the common man.